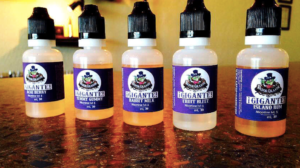 Located in Casa Grande, Arizona., Vapor Grande specializes in hand-crafted e-juices and hardware for vaping needs. They own a second a location and use SalesVu to manage both businesses within the same account.They were recommended by ‘Black sheep vapors’, an existing SalesVu merchant. 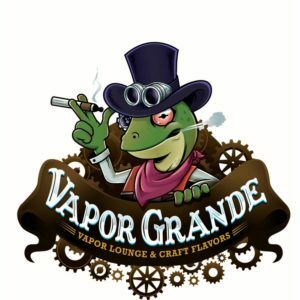 Vapor Grande opened their doors almost four years ago and have been using the software ever since. They decided to use SalesVu because of the merchant services compatibility, they process credit cards with WorldPay and the direct integration that the POS has with this company was a key factor. Why the mobile POS is the perfect fit for Vapor Grande and Mesa? Because it has everything they need, they use Sales reports, Z report, products and services, they are able to customize the messages on printed receipts and they can add/change/delete items easily. 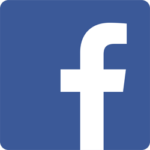 Levi told us that SalesVu has truly helped them track their growth, especially with the sales report, that they can easily pull statistics from past years and with different periods of time. He loves the comparison that they can do with this tool, the fact that they can customize the date range and periods is extremely helpful, they run these reports every day. If you are starting a new business and need a trustworthy POS for your vape shop, SalesVu is the best option! Experience the great service that they offer and start upgrading your business just like Vapor Grande. Don’t forget to check their website and social media below! 20 Feet Seafood joint is a delightful counter service restaurant that specializes in exquisite seafood and drinks, they are located in Dallas, Texas. What makes their dishes so popular and prestigious, is the 25 years of experience that Marc Cassel and his wife, Suzan Fries, have. The expertise of working together in fine dining restaurants have resulted in excellent food quality and service. In January 2013, they decided to open their restaurant together. At that time, there were only 4 or 5 iPad based solutions and they decided to go with SalesVu because of low cost charges and better features than the competitors. SalesVu employee management feature has helped Marc and his wife with their staff at the restaurant. The clock in/out feature makes easier to keep track of the hours they have worked. Another great functionality is the labor report that helps with payroll, this report is totally customizable since you can break it down per individual employees, locations or job titles, the date range can be adjusted and the report will give you the complete information that you’re looking for. Customers are always amazed by the fact that they are usingi an iPad to manage their business. Marc told us that the experience of using SalesVu is very fast when taking orders and checking out customers, they are able to make any modifications in the menu at any time because the system is pretty self-explanatory. 20 Feet seafood joint is growing quickly and is getting more recognition from customers every day. Being able to manage a restaurant from a single platform is crucial for them and SalesVu accommodates perfectly to their needs. 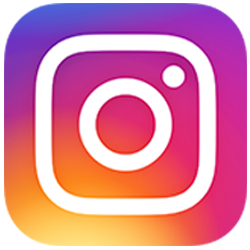 Don’t miss the opportunity to try this amazing restaurant and check them on social media below! 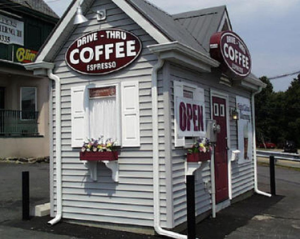 How SalesVu POS system has helped Longfellow’s Coffee to power their business? Longfellow’s Coffee is a small drive-thru coffee house located in Kinnelon, New Jersey. They offer a variety of sweets, high class espressos, and smoothies. They characterize by their original product presentation and their delicious cake pops. “Having a system that works well for me is very important. 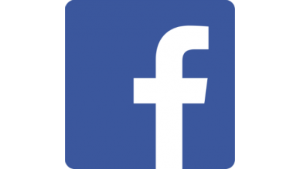 I chose SalesVu because it has the functionality that I need. Sales analytics are one of my favorite features. It is really easy to pull up a report and you can customize it per products, categories or devices”. Jordan Jed is one of SalesVu’s first customers, he decided to move from an old cash register to a POS software. It was crucial for him to find an all in one business solution. He was looking at Square and Clover and at the end he decided to switch to SalesVu because it included all the features he needed to manage his business. When asked what are his favorite factors about the software, Jordan stated that he loves the integrated loyalty and gift card module. Before, he was using a third-party gift card provider that wouldn’t let him manage any cards or numbers properly, SalesVu definitely helped him with tracking balances, customers and most important sales! Thanks to the SalesVu Gift Card solution, Longfellow’s sales have increased 13% in the past years. Because of the integrated solution that SalesVu offers, Jordan, can check on his sales at any time from any device, there’s no need to use an external gift card provider that is not integrated with the POS. He is very happy that the transition from his past provider to SalesVu was smooth and friendly. The fact that SalesVu offers 24/7 support is very important for him. He stated that he uses chat, phone calls and emails to address any situation and the response from the customer service staff is always accurate and quickly. He has been an existing customer for several years and he said that the service SalesVu provides has always been personal and exceptional. 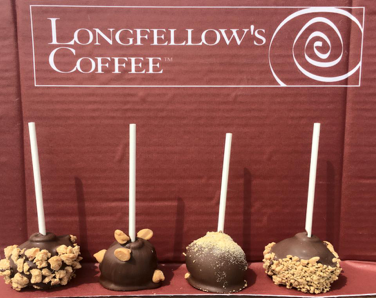 Next time you’re in town make sure to visit Longfellow’s Coffee! 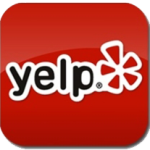 You will be delighted by their line of products and will have a good time with their friendly staff. To learn more, visit their Twitter and Facebook page, be sure to follow them on social media! 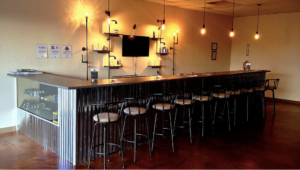 Posted in Restaurants and Bars	| Tagged 24/7 Support, Customer Service, Gift Cards Management, Restaurant POS, Sales Reports, Support	| Comments Off on How SalesVu POS system has helped Longfellow’s Coffee to power their business?